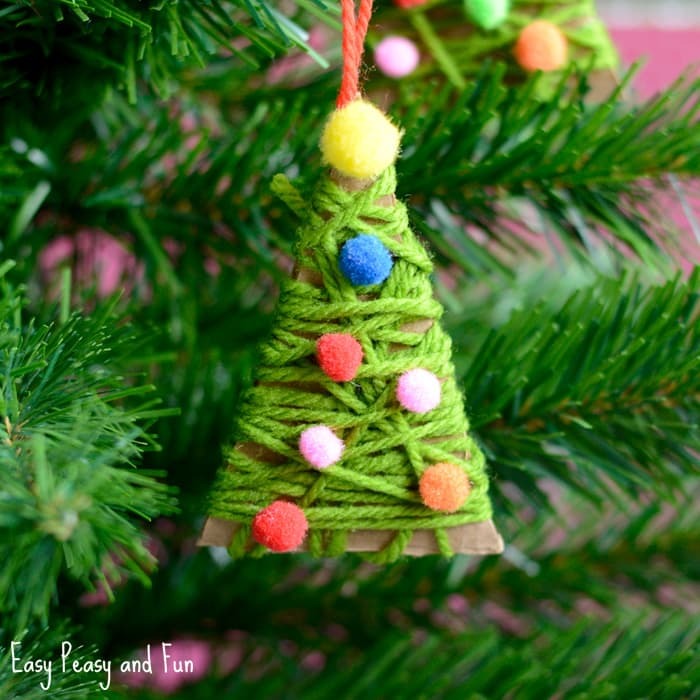 This yarn wrapped Christmas tree ornaments are a great project both as a Christmas craft or as an ornament for your tree. 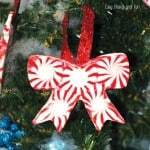 It’s fun to make and if you are crafting with preschoolers this will also make for a great fine motor skill exercise. 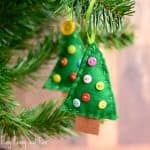 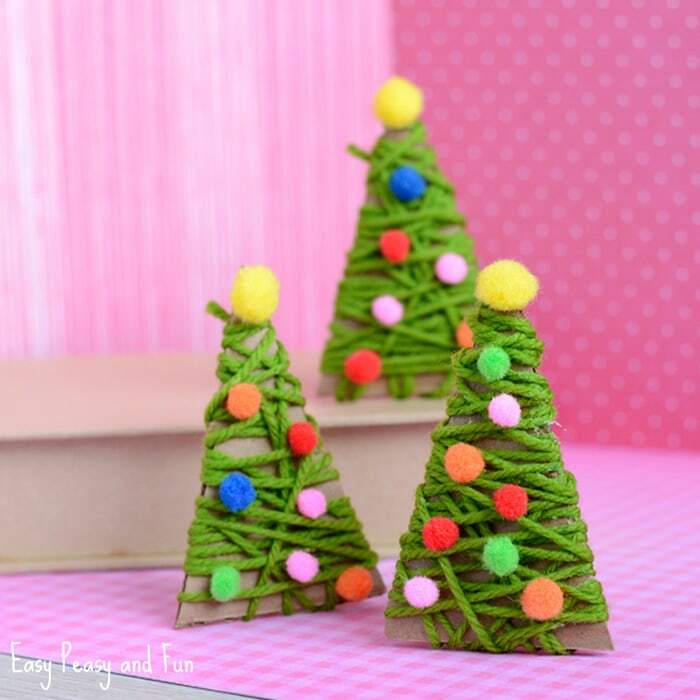 We love the festive season, it’s the best season to do crafts as most of them end up being useful, either as a keepsake, ornament or as a kid made Christmas gift. 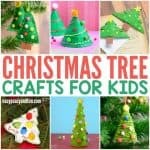 This also makes for a great classroom craft in kindergarten. 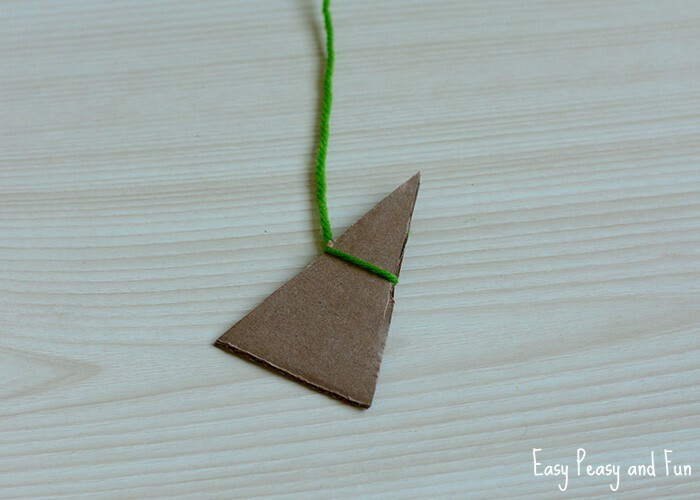 Cut the triangles out of cardboard (this being a job for the adult as cardboard can be quite tricky to cut). 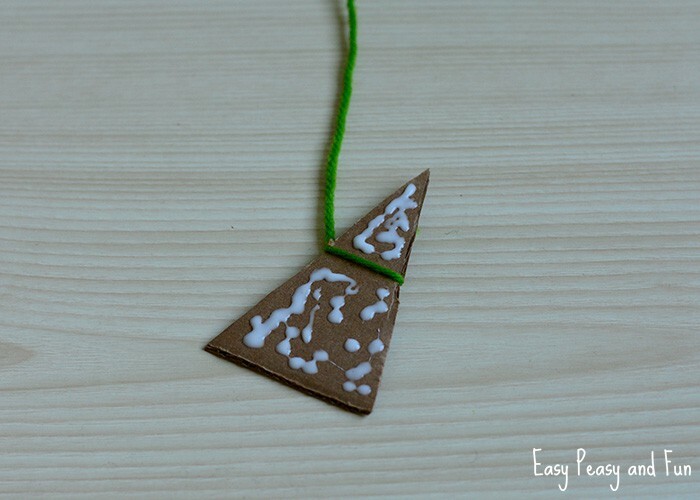 Tie the yarn to the triangle, somewhere in the middle. 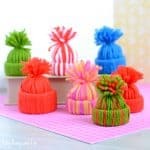 You can add some glue to secure the yarn before continuing. 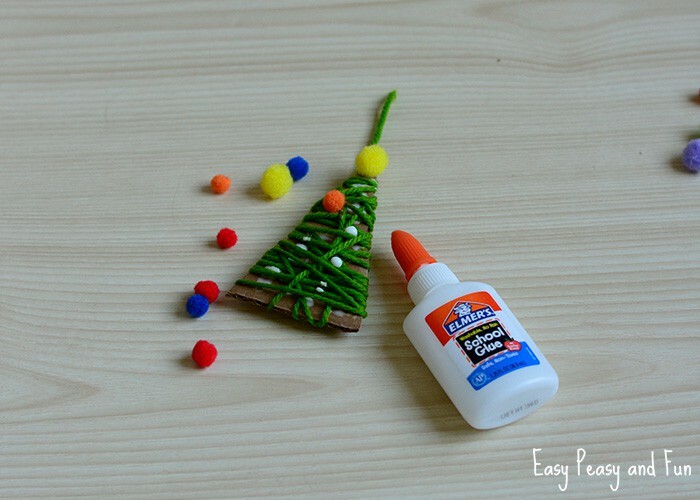 Add a generous amount of white school glue on one side of the triangle. 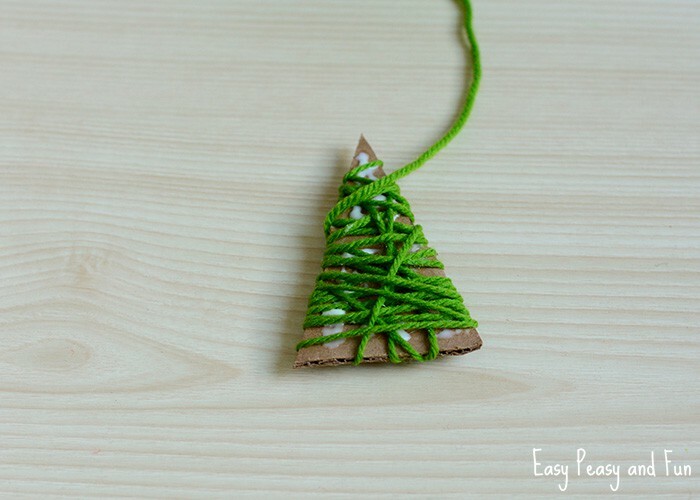 Start wrapping the yarn all around the triangle – make sure you wrap the yarn around all 3 sides of the triangle. 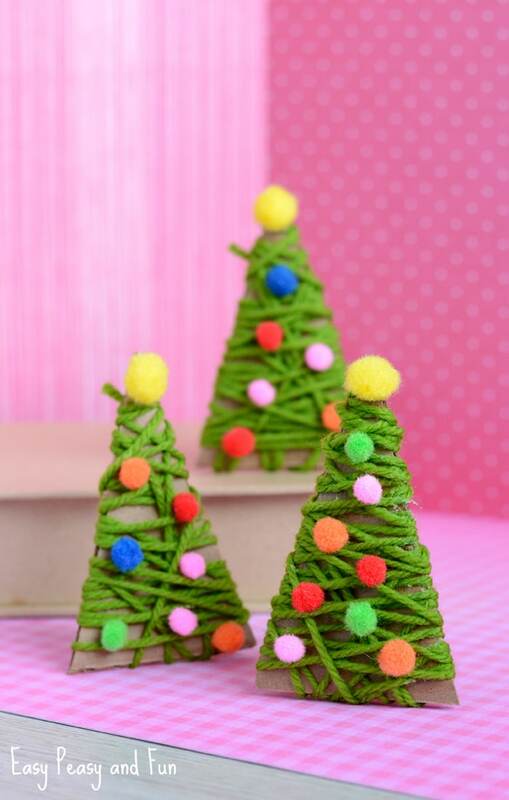 When you are happy with how the wrapped tree looks like, finish up by tying the yarn – make a knot and secure it with some glue. 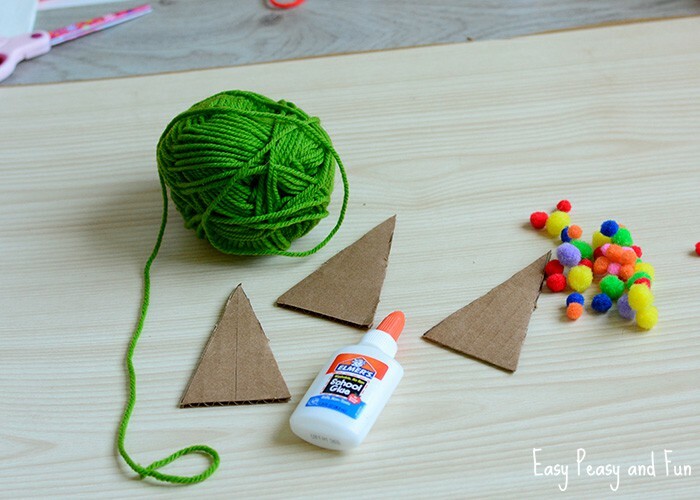 You can add more glue in order to glue on the pom poms (if you were super generous with the white school glue before, there might be enough already). 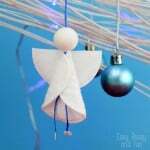 If you want to make this into an Christmas ornament just tie some yarn to the back/top of your Yarn Wrapped Christmas Tree Ornaments and you are ready to go.